Are you suffering from a cramped kitchen with a poor layout that doesn’t give you ample prep space? Are your laminate countertops, out-of-date lighting and ancient fixtures causing you embarrassment every time guests arrive? Do your “retro” kitchen cabinets belong in a museum rather than your home? No matter how you plan it, family and friends always end up congregating in the kitchen—it’s the heart of your home. It’s the place where family celebrations occur, where girlfriends gather for a weeknight glass of wine and where hungry kids clamor in at the end of a school day for a pre-dinner snack and some homework help. And if your current kitchen has outlasted its usefulness, it’s time to consider an update. The expert team at Orren Pickell Building Group can help. 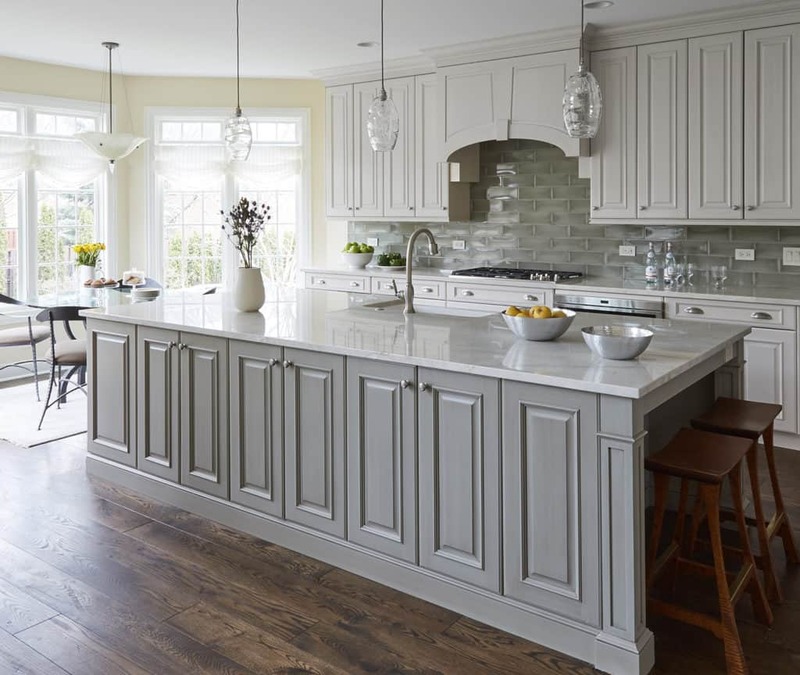 As the Chicago North Shore’s premier kitchen remodeling contractor, our goal is to provide you with flawless design, uncompromising renovations and service that exceeds your expectations. Orren Pickell’s certified Kitchen & Bath designers know how to maximize space and improve function and appearance in ways that extend and maintain your individual needs and lifestyle. Plus, we create a master plan that encompasses a logical layout, material selection, lighting, cabinetry and budgetary considerations. We’ll create a custom kitchen that accommodates a wide range of needs such as improved work areas with optimal lighting and the best placement for appliances, cabinets and islands to guarantee good flow and traffic. Kitchen renovations can be very rewarding—when you work with the right partner. Through in-depth planning and detailed, proven processes, our team will ensure that we bring your new kitchen to life with minimal disruption to your life. Our in-house designers, supervisors, carpenters and other professionals will keep the lines of communication open, asking for feedback and sharing progress along the way. Contact us today for a free, no-obligation consultation. Find out how we can make your dream kitchen a reality.